Huy Ong of OPAL Environmental Justice Oregon at the SJF Donor Appreciation event. 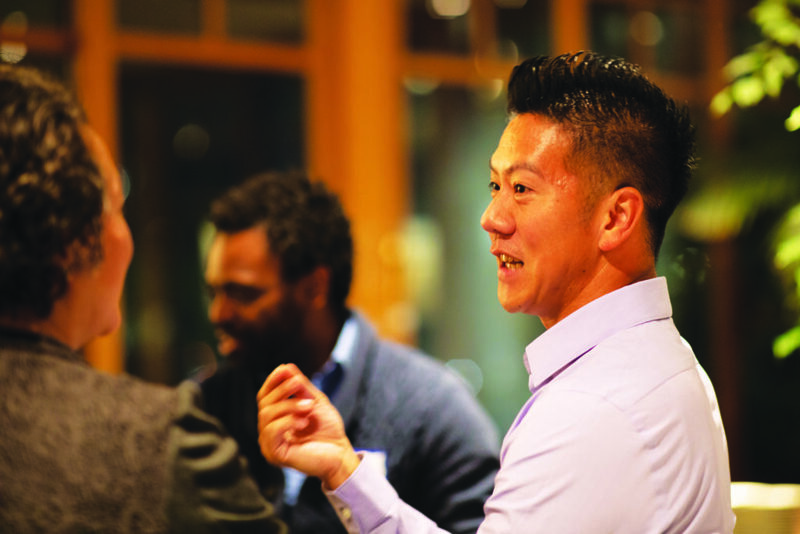 In early December, the executive director of OPAL Environmental Justice Oregon, Huy Ong, came to Seattle and spoke at SJF’s annual Donor Appreciation event. Huy talked about the election victories in Oregon, and about OPAL’s strategic vision for continuing to build on those victories. 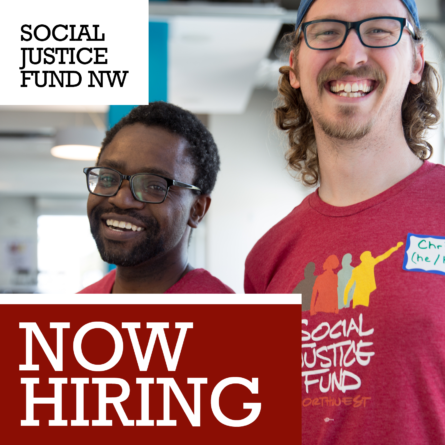 In particular, OPAL and other SJF grantees based in Portland were able to bring an intersectional analysis to the campaign in favor of the Clean Energy Initiative, ensuring that racial, economic and gender justice were centered as part of the fight. Huy also laid out OPAL’s formula for building power: organized people plus organized money. 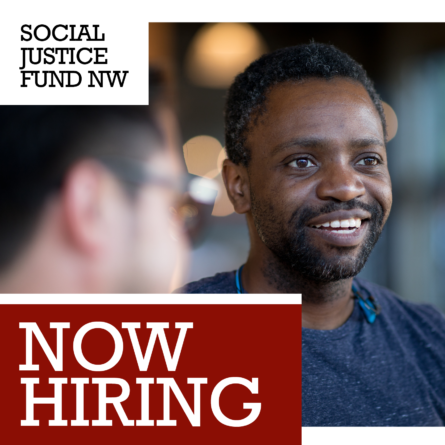 It was a perfect vision for the Social Justice Fund NW crowd on hand that night, including many supporters from the ATR-era who have been steadfast in their support of grassroots organizing in the Northwest region for decades. The event was also highlighted by three Giving Project alums who spoke about how participating in SJF had been a transformative experience for them. December wrapped up one of SJF’s most successful fundraising and grantmaking years ever – thanks to all of our supporters for making it possible! In 2018, SJF Giving Projects deepened our legacy of funding community organizing. We made 79 grants in all totalling $1.1 million (check out the Fall Progress Report on page 5 for more details). 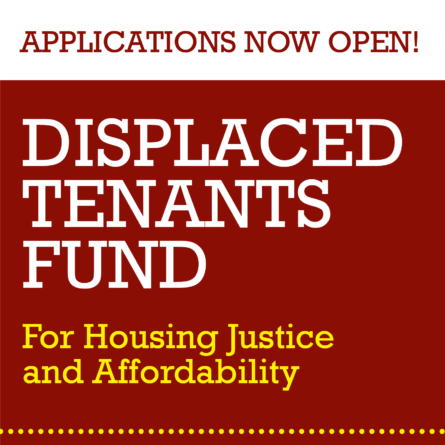 SJF grantees work at the intersection of a variety of issues including immigration, environment, gender, and criminal justice. Many of them also engage around these issues during election time, and November 2018 was no exception. Some of the biggest victories happened in Oregon, where SJF grantees like OPAL Environmental Justice, PCUN (Pineros y Campesinos Unidos del Noroeste), Unite Oregon, VOZ, Rural Organizing Project, and Causa were part of various successful campaigns. The grassroots coalitions they helped form were instrumental in passing a groundbreaking measure: the Portland Clean Energy Initiative, which will impose fees on the area’s biggest polluters and fund programs for clean air and green jobs. They also succeeded in defeating two bad proposals: Measure 105, which would have repealed Oregon’s sanctuary law and been a green light for racial profiling of immigrants; and Measure 106, which would have banned public funding for abortion care.